In an emotional scene in On Coal River, Ed Wiley drops his granddaughter off at Marsh Fork Elementary School. As he drives away from the school, he says: “I tell you what, it’s hard to let your child off at this place, knowing the dangers that’s here. It’s not right.” Tears roll down his cheeks. The dangers at Marsh Fork are manifold: a 2.8 billion-gallon lake of toxic coal slurry sits above the school, held back by an earthen dam; coal dust from a nearby coal processing plant coats the playground and sidewalks around the school; the community’s water is poisoned by mountaintop removal coal mining in the region and the “cleaning” of the coal in preparation for its shipment to coal-fired power plants; mountaintop removal explosions are nerve-jarring and put the earthen dam at continuous risk. 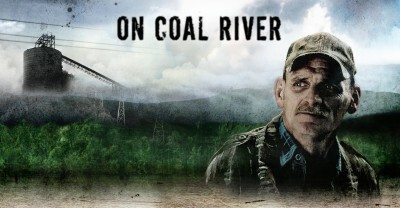 But On Coal River is not just an exposition of the problems associated with mountaintop removal: We learn about the breadth of the problems through the work of the activists who tenaciously challenge the coal industry. One of the “stars” of On Coal River is Judy Bonds, the passionate organizer who became one of the most outspoken mountaintop removal opponents; she died recently at age 58. The film is long and may be too slow for some classes. But in its attention to the details of one struggle in one small community, it tells a gigantic story. Late in the film, it dawns on one of the community activists, Bo Webb, that “we’re on a mission to save the planet.” It’s no exaggeration. Struggles like On Coal River allow us to explore with students how local environmental justice work connects to the fight for planetary survival. Courtesy of SnagFilms.com, you can watch this film online (Note: there is a 30-second commercial preceeding the film).